Apparently missing "get stabbed" and "have a heart attack"
where is "beef with DG"? AND I DON'T MEAN ANGUS!!!!1!! 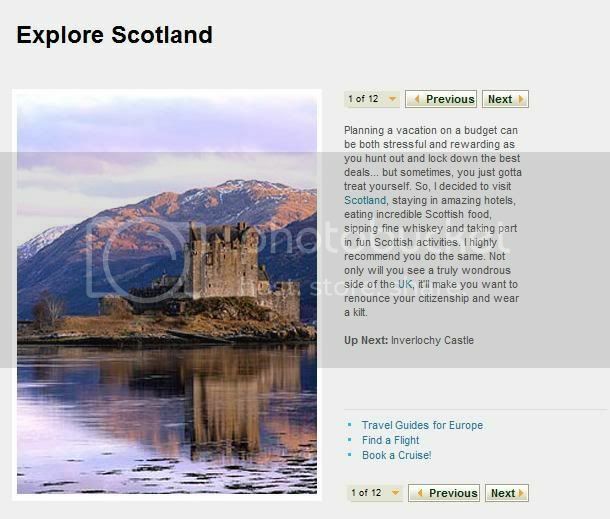 What's a nice bit of Scotland in which to "melt your cares away"? Not being too far North would be good (in a limiting the journey kind of way). I don't know what that means or how you'd do it in Scotland. Generally speaking it gets better the further west and the further north you go, though, which perhaps doesn't help. Maybe some fancy hotel on Loch Lomond, there's hills and water and Glasgow all in close proximity. It means ... I was pondering around Oban and Mull ... and am also open to other suggestions ... but (driving from Oxfordshire) I was also being a bit lazy and wanted to limit the drive a bit. Oban/Mull is a good choice. Everywhere from there up the west coast is gorgeous tbf. Skye is splendid too, that always seems a popular choice and I ate very well last time I was there. I should say that I don't really know what one does in these places, mostly I've just been passing through. I do reckon though that the motorway is the boring bit of the journey and once you're beyond Glasgow you won't mind driving so much. Is there a part of Mull to aim to stay in? Any thoughts about whether it is worth booking a "wildlife trip" on the Isle of Mull rather than just going on a walk?